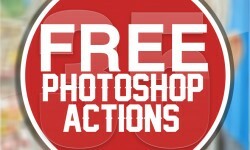 Photoshop Actions are prerecorded commands that save time and transform your images with just one click!, we’ll start off with a brief explanation of how to create and install Photoshop actions and then move onto our huge list of actions that are free for you to download and use. Need a quick fix for a photo you just took? 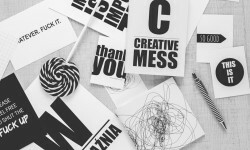 Here are a few versatile Photoshop actions to add to your arsenal. Today, we give you 6 wonderful Photoshop actions that will add some very cool vintage photo effects to your photos. The effects are fully reversible and better still, the effects are adjustable if you desire a stronger or weaker effect. Have a look at what we’ve got in store for you! Enjoy! This action offers a “double” sketch effect, just like if you painted the sketch twice, once from left to right, and once from right to left. This action will turn your images into comic looking pictures. Will run smooth on CS2, I am not sure about the other version… Would be nice if you let me know! My first homemade action! Made from a tutorial I found online. Hope you guys like it. his simple yet productive set of 12 actions will help you create several common portrait effects, and particularly wedding portraits. The set consists of 11 effects, plus an action with some brief instructions and pointers. Made in PhotoShopCS, Photo used as a preview is NOT mine! It is a magazine scan! I wanted to create 5 actions inspired on VSCO Film for you. Hello everyone, here comes a really fresh and simple photoshop filter action, that will bring a really nice look for your future projects. Download now and have fun! Turn your photo into dreamy soft focus photography effect with this free soft focus Photoshop action. ReFocus available as ATN Photoshop action which can be used quickly and easily. Just put your photo there, brush area to get applied by the action and you ready to go. This Photoshop Action convert your photos to awesome retro-print style in just 1 click! Ideally for posters, vintage and print design. A beautiful free set of retro faded photography actions. All for Photoshop CS3+. A simple, quick and light cross process photoshop action If posting or sharing anywhere, a linkback and credit would be appreciated. The use of a c urves adjustment layer is a great way to different types of effects in Photosop. Funky Curves actually includes 2 different actions that use curves to create awesome effects.